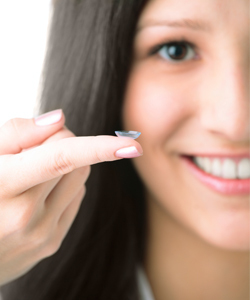 Reorder Your Contact Lenses Here! 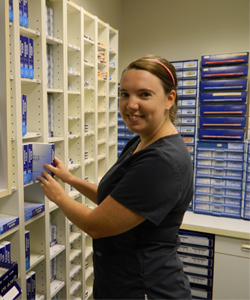 Reorder your contacts easily through our office straight from your computer! We make it fast and convenient for you to get the contacts you need from the comfort of your own home. Consider the questions and answers below to help assess whether they're a choice you should consider. 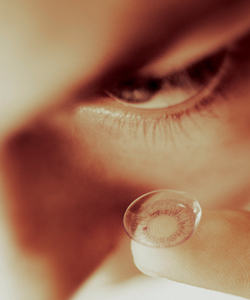 In fact, we provide all of the above brands and many more - having access to a wide range of contact lens available today for all sorts of vision correction needs. Call to schedule an appointment or click on the Request An Appointment button on the top right navigation bar. Need to refill your prescription? Simply go to the top of the page. It's fast, easy and convenient. If it is right side out, the lens' edge will appear almost straight up. If inside out, the edges will flare out slightly. 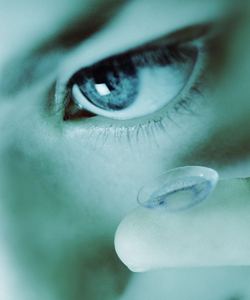 When you are fitted for contact lenses a particular lens care system is recommended—a group of products to clean, disinfect and make your lenses safe and comfortable for wear.